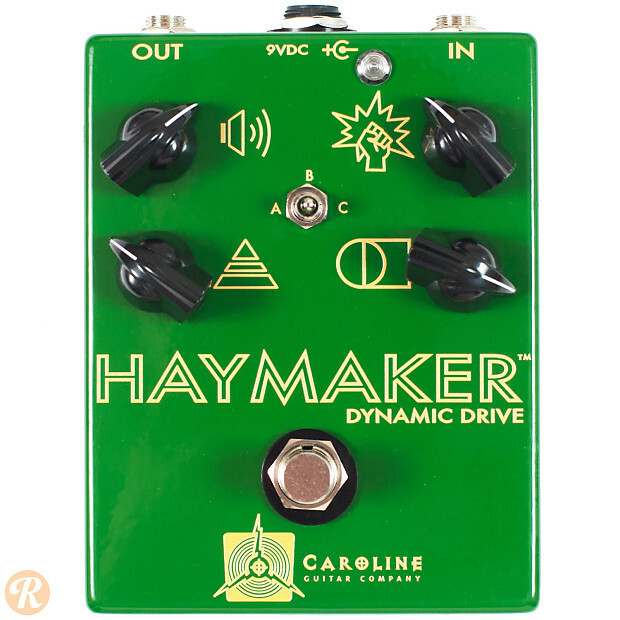 The Caroline Guitar Company Haymaker is a dynamic, multi-mode overdrive that is not based on other iconic overdrives. It has multiple levels of gain and shaping ability. Caroline Guitar Company is based in Columbia, South Carolina and makes all their pedals by hand in limited numbers.